A special thanks to Vickie McDonough for letting me share this guest post with you. My latest book, The God of All Tomorrows, takes place in 1934. The heroine, Launi, has a brother who is an amateur radio operator. Later when Launi moves to Peru, she is able to communicate with her family. 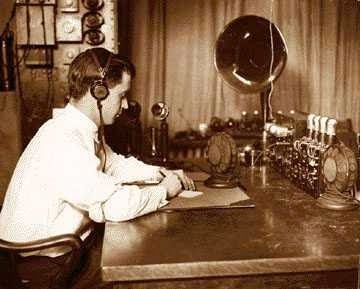 During the early 1900s, radio (first known as wireless telegraphy) was a new means of communication used by landline telegraphers who left their offices to work on ships or government stations. Soon people who were interested in the new technology started building their own radios. There were no regulations, and many of the amateur stations were very powerful. Two amateurs in a town, communicating with each other, could effectively jam all the other operations in the area. Frustrated commercial operators referred to the amateurs as “hams.” This was a derogatory term, meant to insult them. But the amateurs embraced the word and made it their own. 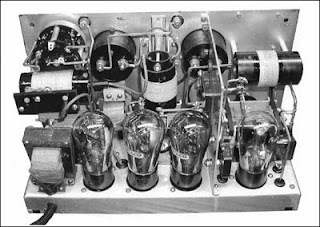 Many men and boys, and a few women, built radios and became ham operators. Soon there were too many stations and too few radio frequencies. Amateurs multiplied when vacuum tubes were improved and made cheaper. Then “continuous wave” transmission was invented. This allowed the transmission to concentrate on one wavelength instead of many. Operators began experimenting with shorter waves, and “short wave radio” was born. In 1927, the government couldn’t ignore radio any longer. They stepped in with regulations. Starting in 1929, all ham operators had to have a license, as well as “call letters” for their station. In 1936, there were 46,000 licensed amateurs in the United States. 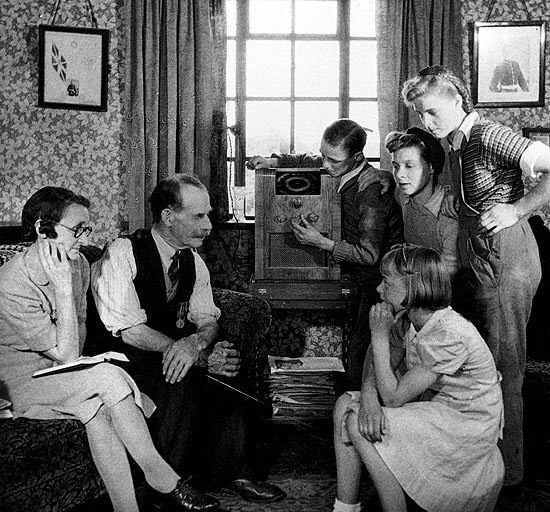 During the Great Depression, commercial radio became very popular. Its wide range of live music, comedy, variety shows, and dramatic programming served as a welcome escape from those troubled times. Even though many people were out of work, they desperately struggled to keep up payments on their radios. Amateurs couldn’t put music on their stations. In fact, it was against the law to make any money from their ham radio. But they had their own magazine called QST. The name was derived from the radio Q signal that means “calling all stations.” The magazine has been continuously published since May of 1919. Today they have over 150,000 subscribers. Do you have an outstanding memory of listening to the radio? Share it with us in the comments, with your email address, and you’ll be put in a drawing to win Donna’s book. Together, they end up having more adventure than Launi ever bargained for. They battle snakes, jaguars, sickness, earthquakes, and an Indian chief who wants to add Launi to his harem. 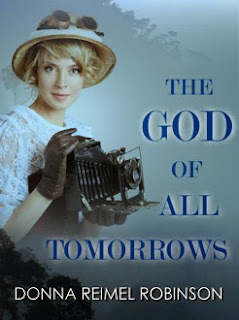 Can they trust God for all their tomorrows? 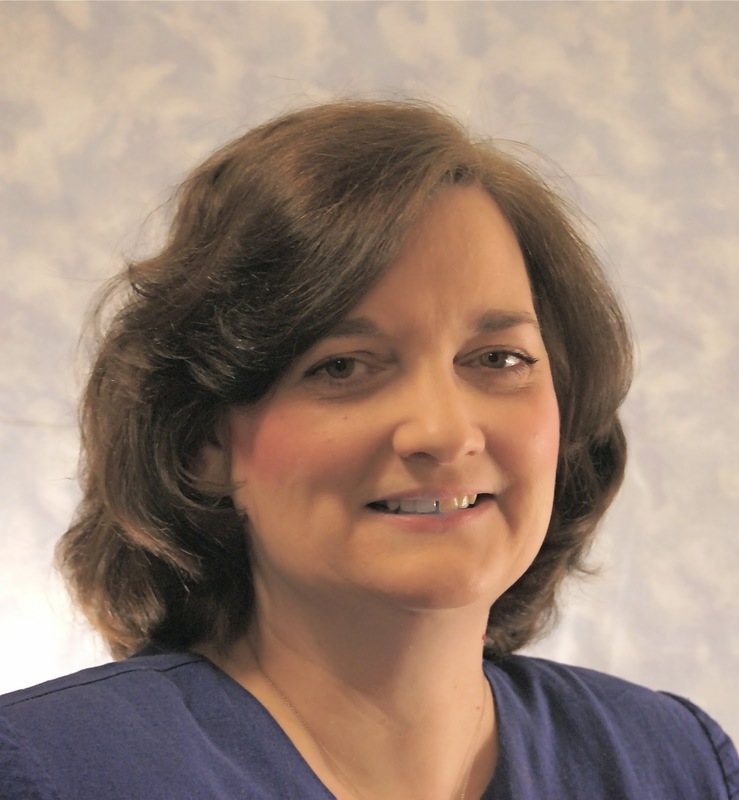 Donna Reimel Robinson is a member of American Christian Fiction Writers. Her publishing credits include Tumbleweed Weddings, which is a collection of three stories published by Barbour, as well as two independently published books, The Knotty Pine Chronicles (a collection of two stories) and The God of All Tomorrows. She and her husband live in Denver, and have four grown children and eleven grandchildren. I never knew anyone who was a ham operator, but I have wondered how they got the name "ham." Thanks for clarifying that. 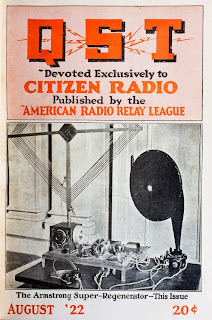 It sounds like radio was the social media of the early Twentieth Century. Thanks for the interesting post. Yes, social media, LOL! It's amazing to me that, with all our technology today, there are still a lot of ham radio operators. It's a serious hobby for many people. Yes, just for old times classic reasons, it's like someone wanting a 1930s phone instead of a smart phone. It's purely for reminence. I notice how in 1930s films, the word ham has been used alot in that meaning. What a great post! Funny how so many times names are given to insult (like Yankees) and instead of insulting the party embraces it and it becomes history! I grew up in a very rural area and ham radios were very popular. Such an interesting post! Thanks for sharing. Thanks for your comment, Debbie. In the early 1900s, they called amateur actors "ham actors," to mean an inexpert performer. They think the word "ham" came from the first sound (syllable) of "amateur." How very interesting, Donna! Thank you for the quick education into ham radio and their operators. I've known of a few into the hobby, but that's about as far as my understanding went. When I was in high school, I knew a guy who had a ham radio. I went over his house one time, and we talked to a man in South America! (He spoke English, with a strong Spanish accent.) It was really amazing to me to think this man was thousands of miles away in another country. Thanks, Amber. Back then, radio was like computers are today, and there was a certain type of person that had to work with the new technology. That's definitely the American Spirit! Those are amazing memories, Susan! We only had commercial radio, but my parents always had the radio on since they had grown up listening to the radio. Hi Donna, thank you for a great blog. My brother was an amateur radio operator in high school in the early 60s. It was fascinating listening to "people all over the world." I learned Morse Code and used a form of it in my YA novel - Escape from Outlaw Ridge. Who knows, we may go back to radio listening in the near future. That's interesting, Linda, that your brother was a ham radio operator. And I never thought of using Morse Code in my novel! That was more prevalent 50+ years ago than it is now. Very interesting post, Donna. I love that they took the derogatory term 'ham' and made it something positive. Thank you for sharing. Thanks, Nancy. It's kind of like the word "Christian," which was a derogatory term during the first century. I lived in Nigeria and we always listened to the BBC. Not having TV made the radio very important. Later when I lived in the US I listened, with my husband, to old time radio shows. When my brother was in Nigeria, he used Ham radio to keep in touch with us in the US. Living in Nigeria would really be an interesting experience! I'm sure radio was very important to you, Sharon. Thanks, Maxie. It's often very dangerous in other countries. Very interesting post, I sent this to my hubby. He is interested in radios, vacuum tubes, etc. I don't have any memories of ham radios. Thanks for your comment, Regina. Some men are really into the old technology! Really enjoyed your post. 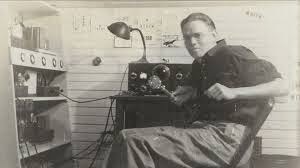 Ham radio has always fascinated me. I have two memories of the radio besides the great show we listened to. My grandfather always listened to baseball games on the radio and whetted my interest in baseball which I still love today. My other is of all us seated around the radio when I was 5 1/2 years old. We listened to FDR tell us we were now engaged in a war with Japan. That is one that truly etched on my mind. Wow, Martha, that's amazing that you heard FDR! (That was before my time, LOL) The radio has really played a big part in America's history. The winner of our book drawing for The God of All Tomorrows is Maxie! Congratulations, Maxie! Thanks to all of you for your comments. May the Lord bless!